Is there a method or utility used to print a report of all the VMs managed by vCenter v4.1? Can this report be produced within vSphere Client? Thanks. 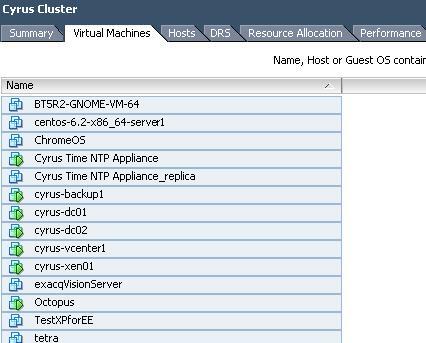 Using the vSphere Client, you can also select the VMs, and Right Click and select Copy to Clipboard. I would recommend using the following, also VMware recommends the use of PowerCLI, which is PowerShell interface with vSphere-specific additions. One of the simplest PowerCLI examples, and something which is actually extremely useful on its own, is the Get-VM cmdlet. Which lists VMs. The free VMware Guest Console, an experimental application created by VMware Labs, is a great tool for managing vSphere VM processes and files. You can view, sort and kill processes across all VMs, and you can also run a script on all Windows or Linux VMs.